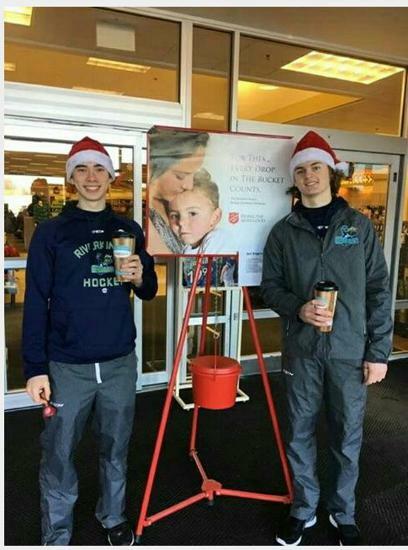 Over the past few weeks the Wisconsin Rapids Riverkings Jr. A hockey club has been giving back to the Rapids community not only with their annual "Toy for Tots" home game that provided needy families and kids with Christmas gifts, but also volunteering their free time and becoming Salvation Army Bell Ringers for the holiday season. 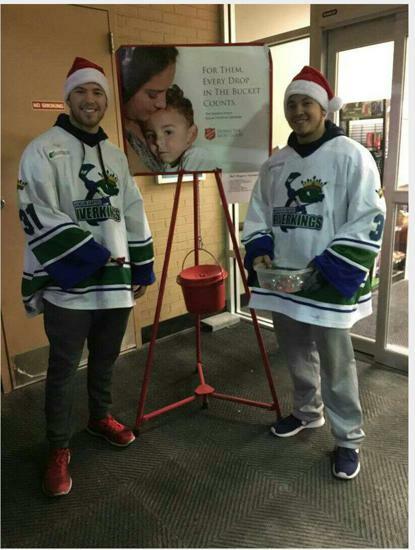 Riverkings players and staff each volunteered and could be spotted around the Rapids community in places like Walmart, Shopko, and Walgreens. 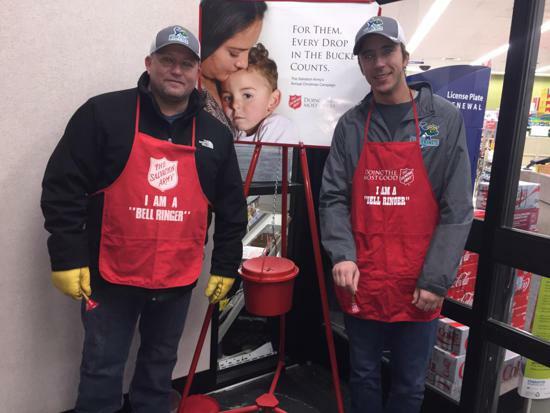 The Salvation Army red kettle campaign raises give or take about $30 per hour per each location which is enough to provide a family with groceries or shelter for the night. 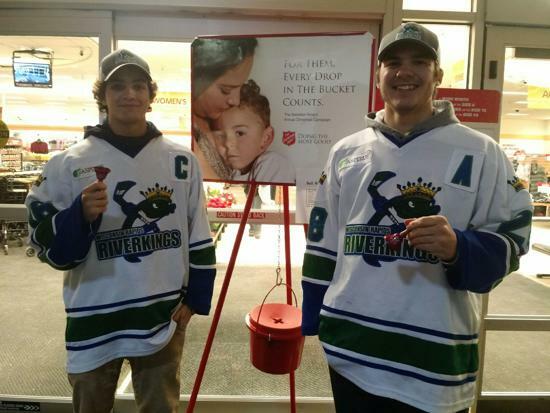 The Riverkings are all about giving back to a community that has supported them over the past few seasons. 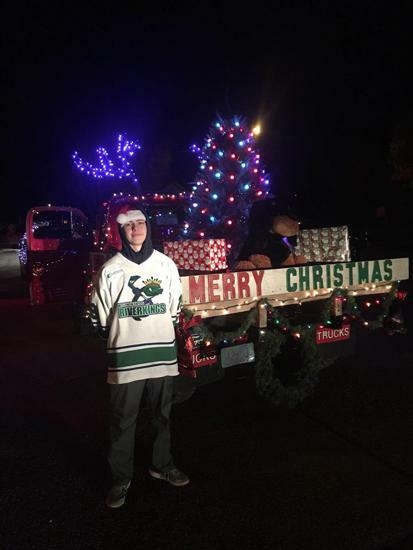 Without the support of the community, the Riverkings would not be where they are now, so any chance the team has to give back, the coaching staff makes sure that the boys do. 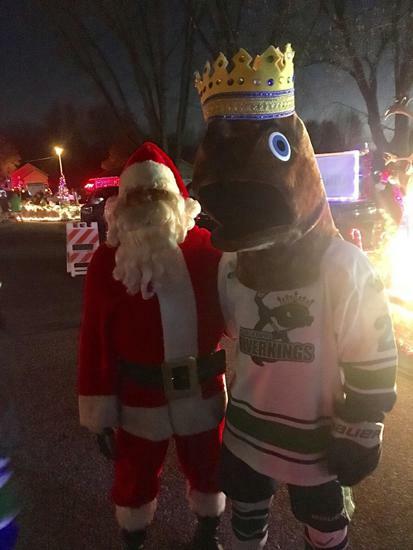 GM/Head Coach Marty Quarters stated “the culture of the Riverkings is to give more then you receive and the holiday season is the time of year to volunteer and help those less fortunate”. 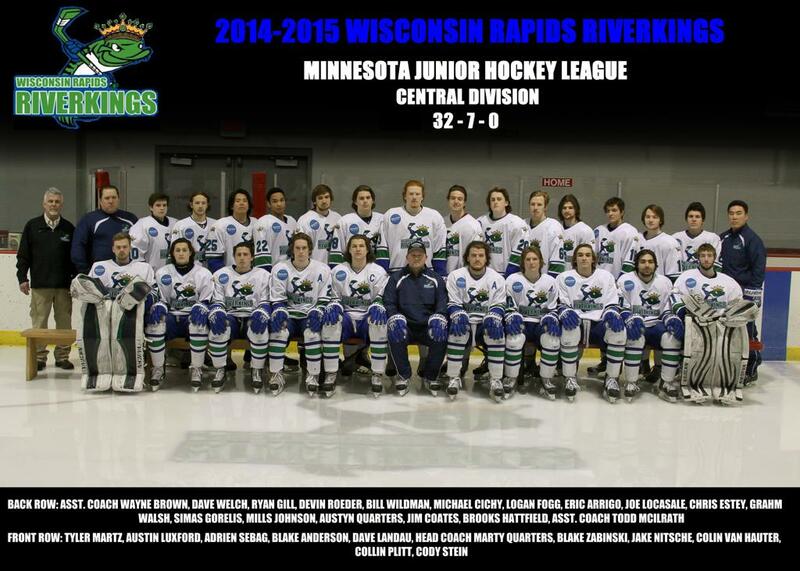 Wisconsin Rapids Riverkings are proud of these accomplishments !! In five January games, Adrien logged seven goals and five assists. A native of France with eight career games with the Riverkings, Adrien has notched 13 goals and 10 assists. Three of those goals came short handed, and he is averaging a league high 2.88 points per game. He's quickly becoming one of the top scorers for the Riverkings and currently ranks 5th in both points and goals scored among active players on the team. Congratulations to Riverkings Forward, Austin Luxford, for winning the MnJHL Week 24 Player of the Week Award! Austin notched 5 goals and 1 assist in 2 games against St. Louis, getting a Hat Trick in the first game! Props, Austin, for making your fellow Wisconsinites proud! Congratulations to Riverkings Forward, Colin Van Hauter, for taking home the MnJHL Week 23 Player of the Week Award. With 4 goals and 2 assists during the home series against Marquette, Colin is giving everything the Riverkings need as they head into the playoffs. Great job, Colin! 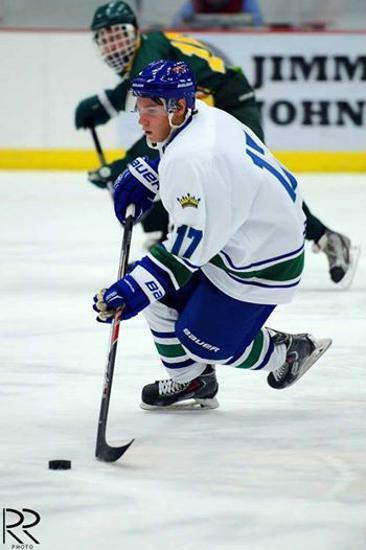 Congratulations to Riverkings Forward, Jake Nitsche, for taking home the MnJHL Week 21 Player of the Week Award, skating his way to 7 goals and 1 assist while earning a Hat Trick on Sunday. What do they call a Quarter Pounder with Cheese in Paris? 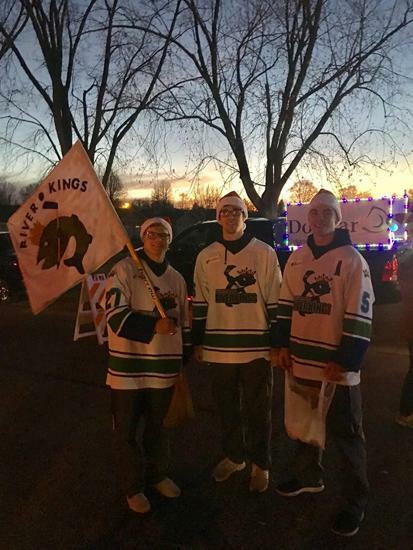 The 11-20-0-2 Royales are coming to the South Wood County Recreation Center looking to help the Riverkings spread the love for Fan Appreciation Weekend. The puck drops at 7:30 p.m. on Friday and Saturday night, and 12:00 p.m. on Sunday. Stick around for Skate with the Riverkings after Saturday and Sunday's Game, brought to you by TLC Travel. Admission is Free, and it's only $2 to rent some skates if you left yours at home. Saturday at South Wood County Recreation Center was a special night for Riverkings goalie Ryan Gill and his family. Ryan's grandfather, Doug "Boola" Gill, is a Wisconsin Rapids native and one of greatest athletes ever to walk the halls at Lincoln High School. Boola was the Captain of the 1951 Lincoln HS State Championship basketball team, and is a member of the Lincoln High School Hall of Fame. 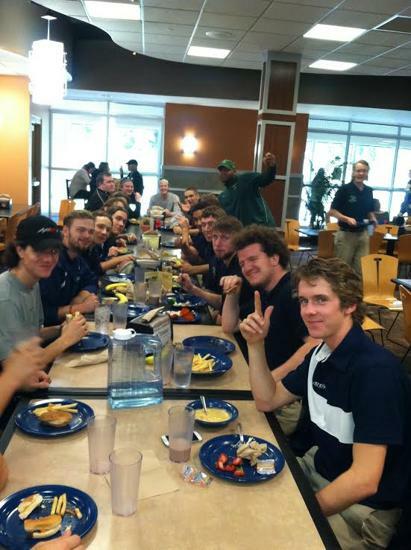 Boola also won at State competing in the Pole Vault, in addition to a State Championship in Baseball. Boola went on to play basketball at the University of Marquette, coached by Tex Winter, and lettered three times during his tenure. On Friday, January 30th, 2015, the Riverkings honored our Team Counselor from Lincoln High School, Ann Felker. Throughout the year, Ann has shown both her expertise and devotion while spending countless hours assisting and ensuring that Riverkings Players are succeeding to their fullest potential. The Riverkings organization would like to thank Ann for everything she has done for us and continues to do. It is support from people like Ann that enables the Riverkings to fulfill our promise of "Building Hockey Up and Down the River". 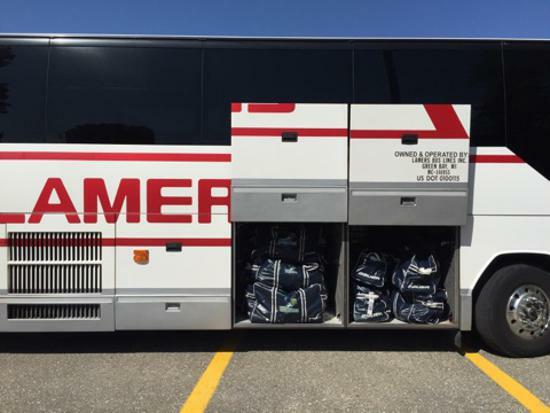 01/27/2015 - THE FRONTENACS ARE COMING TO TOWN! We're coming down to the home stretch fans! Be sure to head down to the South Wood County Recreation Center this weekend as the Riverkings take on the St. Louis Frontenacs. For all you Students out there, this is YOUR weekend. 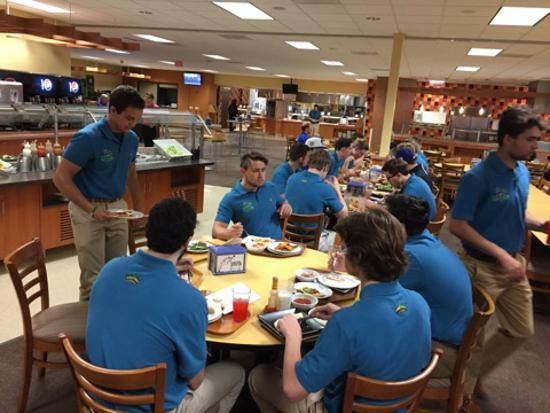 All students wearing their school's shirt (or a Riverkings one!) will get into the game get for FREE! And as an added bonus, like you don't get enough of them during the week, all Lincoln High School Teachers and Staff get into the game for just $2. Why not show your school pride, support the Riverkings, and have a blast all at the same time! Game times are Friday and Saturday at 7:30 p.m., with the final game's puck drop on Sunday at Noon. 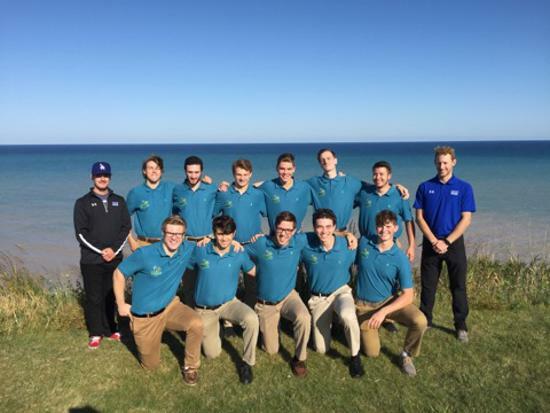 The Wisconsin Rapids Riverkings are pleased to announce the addition of two new players, Sun Prairie, Wisconsin, native Austin Luxford, and Lithuania U20 National member, Simas Gorelis. 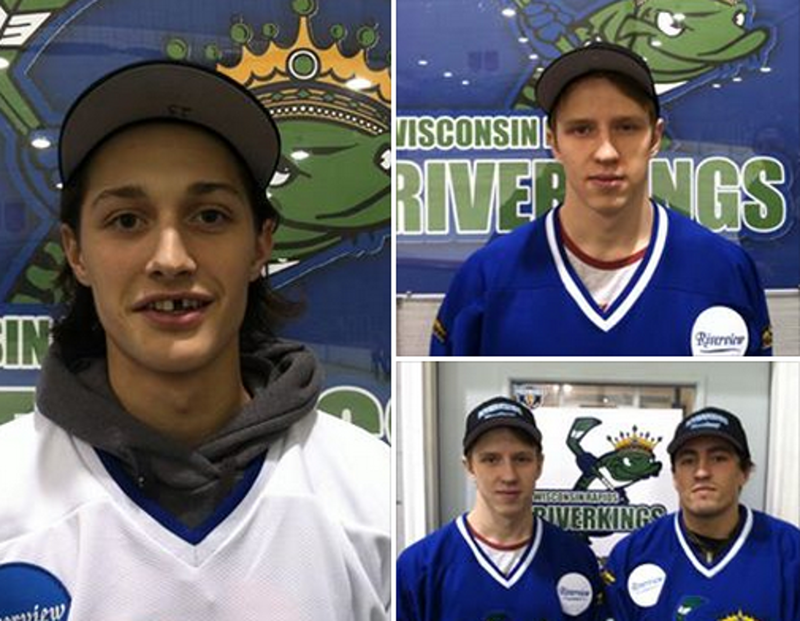 Both players are a welcome addition as the Riverkings get ready for an end-of-season push heading into the playoffs. 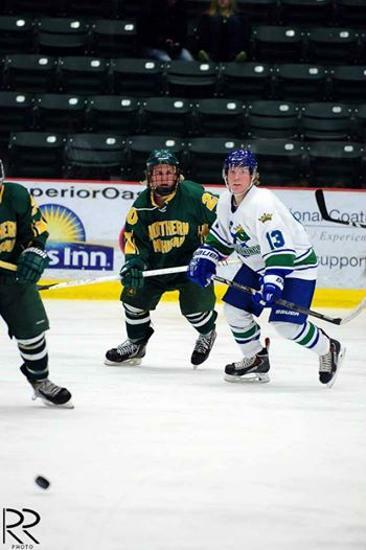 With the recent addition of French player Adrien Sebag, all three will ensure that the Riverkings remain one of the elite teams in the MnJHL. 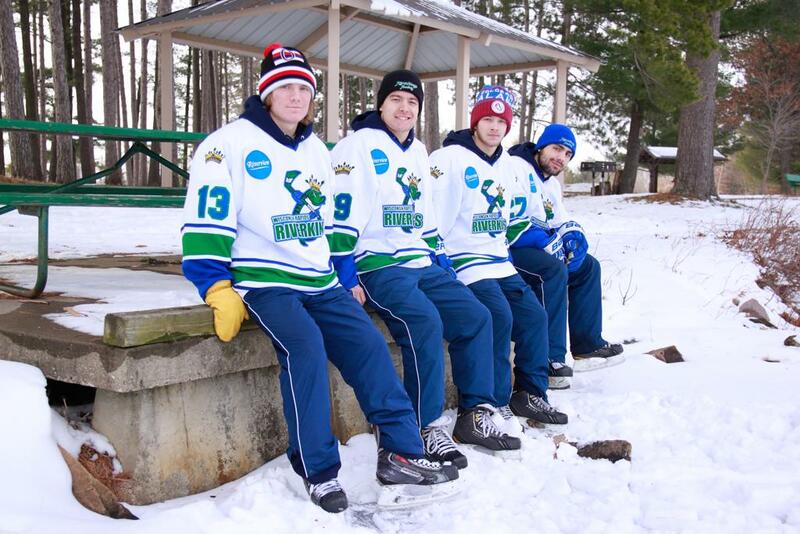 It's just another example of the Wisconsin Rapids Riverkings "Building Hockey Up and Down The River..."
Riverkings players recently participated in the Kiwanis Youth Outdoors Day at Lake Nepco in Wisconsin Rapids. The boys had a great time joining in on a little bit of pond hockey and broom ball, as well as helping youth learn how to skate. 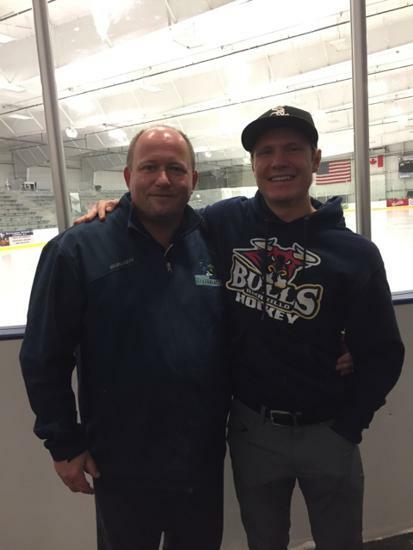 A thank you goes out to the South Wood County Recreation Center rink manager, Jim Arnold, for helping our boys to connect with this great event! 01/15/2015 - THE END IS DRAWING NEAR! The Riverkings extended their win streak to six with a 3-game sweep of the St. Louis Frontenacs the weekend of January 9th. This brings their season record to 24-6-0 (.800). With nine games left on their schedule, each series against teams with a record below .500, the Riverkings look to stay on top of the Central Division Standings. 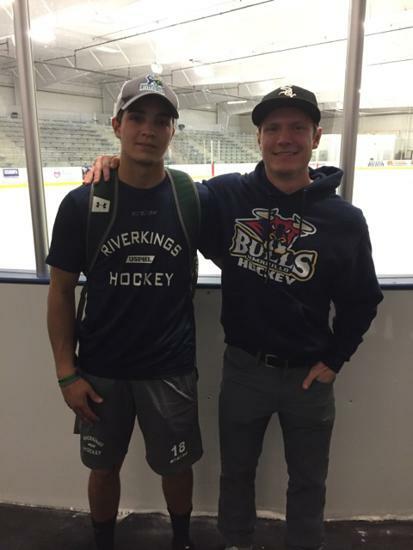 The successful advancement of league goal leader Tyler Harkins to the BCHL shows the Riverkings have proven they are able to develop players to succeed at higher levels. Harkins accounted for over 25% of the teams goals this season and his 35 goals remains the best in the MnJHL even since his departure. 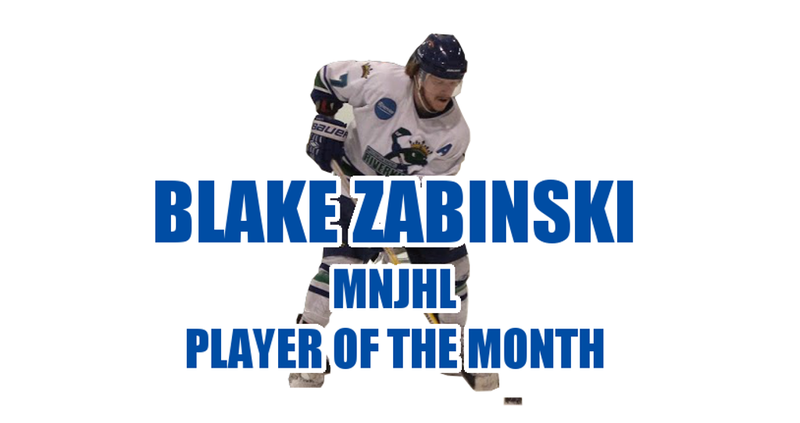 Congratulations to the Wisconsin Rapids Riverkings' Blake Zabinski for being awarded the MnJHL's December Player of the Month. Blake ranks twelfth on the League points leaderboard, earning thirteen points in eight December games. With four multiple point efforts, Zabinski logged a point in all but one game this month, including six goals and seven assists, to complete a twelve game point streak. With 17 goals and 29 assists on the season, including three game winners, Zabinski in his second year in the MnJHL has surpassed his 2013-14 numbers (24gp, 8g, 17 assists, 2gw) Zabinski ranks first in the league (tie) in short handed goals scored (3) and averages 1.59 points per game. With 46 points on the season, Zabinski has played a part in over 33% of the Riverkings season goals. Congratulations, Blake! It's an honor well deserved! 01/07/2015 - MOVING ON UP! 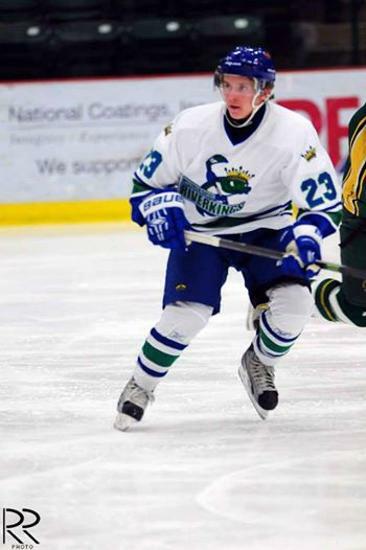 The Wisconsin Rapids Riverkings are pleased to announce that leading scorer Tyler Harkins was recently called up to the Surrey Eagles of the BCHL. Harkins is a proven goal scorer, able to notch 35 goals in just 31 games. With an even more impressive league record 12 game winning goals, it proves that he is able to score under pressure. Tyler comes from a rich tradition of hockey. His father, Don Harkins, played at Miami (Ohio) University, and is now the head scout for the Plymouth Whalers of the OHL. Two of his uncles are former NHL players, and his cousin, Jansen Harkins, is sure to go as a 1st round draft pick in the NHL this year. When we asked some of the players about Harkins moving up, they were both happy and sad. 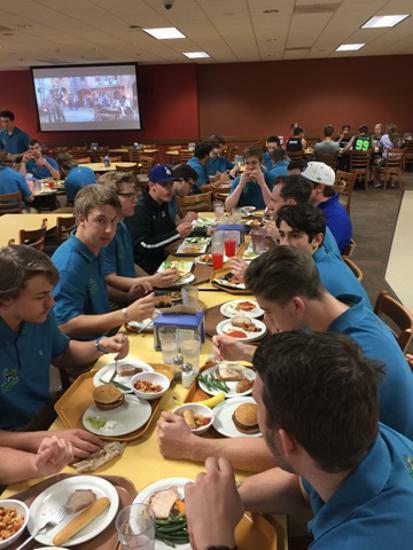 The Riverkings mission is to promote the personal character and athletic development of those players who wish to excel at the highest level of hockey competition. Harkins moving on to the BCHL helps us reach our goal of striving to provide hockey players an opportunity of a lifetime. 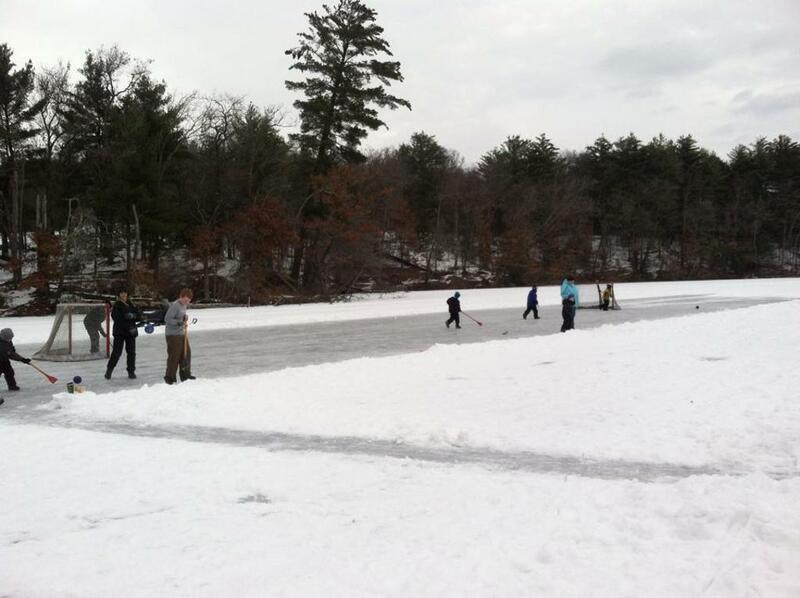 Building Hockey Up and Down the River! 12/24/2014 - A RECORD BREAKING YEAR! Congratulations to Tyler Harkins for scoring his 12th Game Winning Goal and setting a new MnJHL record for most in a season. The previous record was set last season by the Marquette Royales forward Dallas McLaughlin (11). Tyler also leads the MnJHL in goals scored this season. With 12 more games to go, his numbers are sure to grow. Way to go, Tyler! The United States Premier Hockey League (“USPHL”) is pleased to announce the formation of the USPHL Mid-West Junior Hockey Division for the 2015-16 season. The Division will be comprised of the Dell Ducks, Minnesota Owls, St Louis Frontenacs, Ironwood Yoopers, Wisconsin Rapids Riverkings, Wooster Oilers, Illiana Blackbirds, Marquette Royals, Fort Wayne Federals, Tri City Icehawks, Chicago Rampage and Hudson Crusaders. The teams will be integrated into the USPHL by playing inter divisional games at USPHL showcases to be located in the East and expanded to for the first time to the Mid-West. Upon completion of this process, the USPHL membership will consist of approximately 50 members fielding over 100 teams with a geographic reach that spans the complete Eastern Seaboard through to the Mid-West United States. As the case with all USA Hockey Junior expansion, the Mid-West Division remains subject to any final applicable USAH approvals. 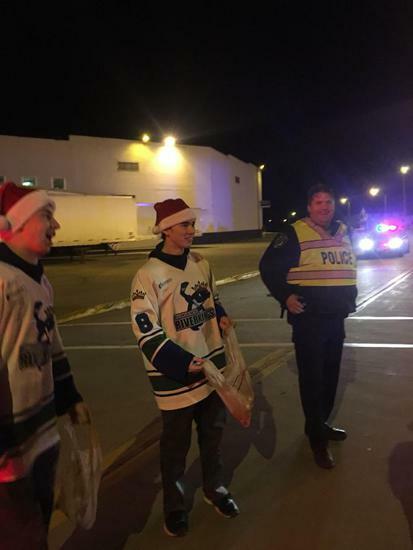 The MnJHL Showcase that took place this past weekend at the South Wood County Recreation Center gave hockey fans more than they could have asked for this holiday season. Over the course of three days, the action was nonstop and we were able to witness to some of the best talent in MnJHL. The Riverkings showed once again that they have what it takes to bring home the Championship... 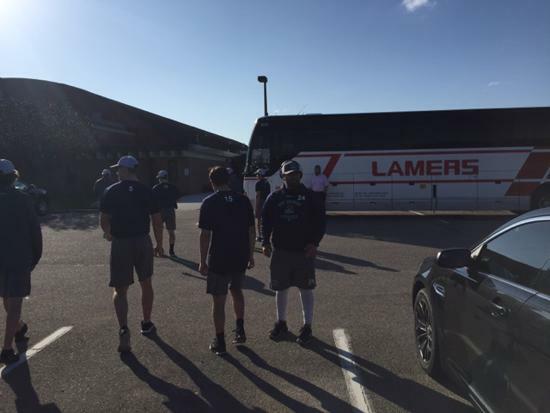 They edged the Steele County Blades 6-4 on Saturday, handed it to the Forest Lake Lakers in a 5-2 win on Monday morning, and cleaned up the ice with a 4-1 win against the Hudson Crusaders in the Showcase finale on Monday night. The only loss of the weekend came on Sunday. They fought a hard battle, but the Riverkings were unable to come out victorious as they lost 6-7 to the Maple Grove Energy in a game-ending shoot out. Everything said and done, the Riverkings still took home the best Showcase record in the Central Division with a final tally of 3-0-1. The boys did a great job and they definitely deserve their break! Thank you to all the fans who made it down to the rink to watch the boys in action. There's no better feeling than having you all out there cheering the boys on. Without you, none of this would be possible! Another big THANK YOU goes out to all of the volunteers who devoted their time and energy to making our half of the MnJHL Showcase first class! The list is extensive, and it's too long to list here. But you all know who you are... Thank you! 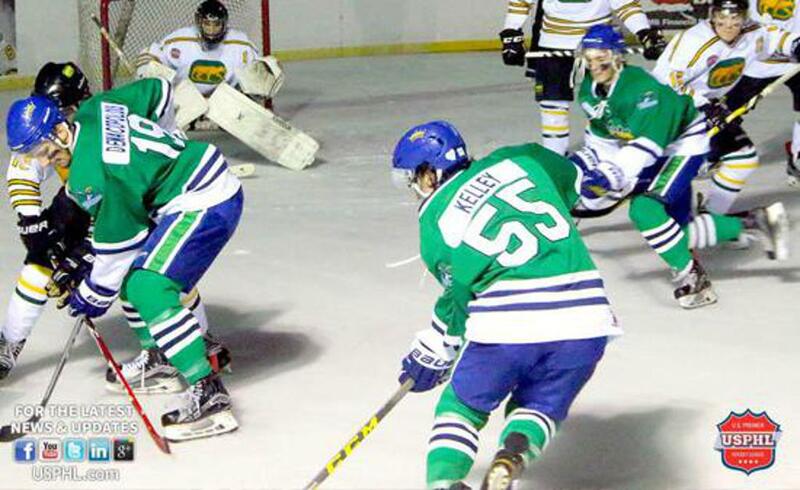 Sure to be a thriller, this weekend the Wisconsin Rapids Riverkings (18-6-0-0) play host to the Wooster Oilers (17-8-0-2), and it looks to be a matchup that won't easily be forgotten... Both teams are looking to take control of the top spot in the MnJHL Central Division. The puck drops at 7:30 p.m. on Friday and Saturday, with the series finale on Sunday at Noon. 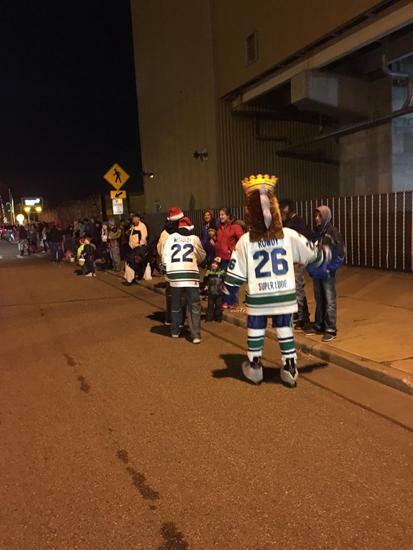 In partnership with Toys For Tots, the Riverkings are sponsoring a toy drive this weekend. On Friday and Saturday night, the first 150 in attendance who donate a toy will receive a cowbell to help cheer on the team. As a special bonus, everyone who brings a toy will receive a raffle ticket for a chance to win a Riverkings T-Shirt. Bring those toys people! We need more cowbell! A big thank to Visit Wisconsin Rapids for their cowbell donation! Sunday is Boys & Girls Club Day! All Boys and Girls Club members who attend the game get in for Free! All you have to do is bring your Club Membership Card to Sunday's game! Friends and family of the membership card holder will be required to pay the regular gate fees. 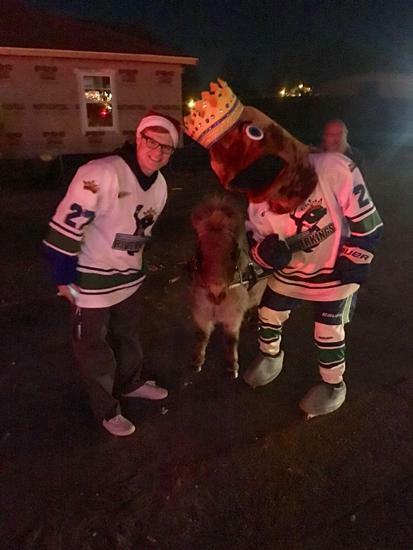 And don't forget to lace up your skates for Skate with the Riverkings on Saturday night when the boys take the ice after the game, brought to you by TLC Travel. Admission is free, so be sure to join in on the fun! 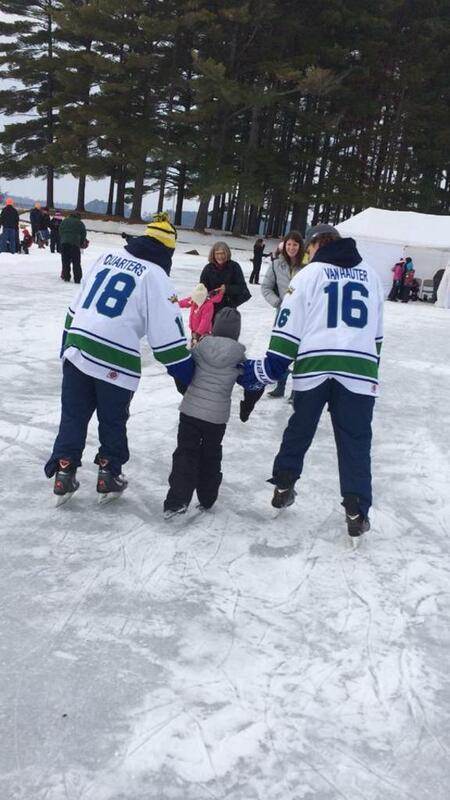 If you forget your skates, there will be rentals available for only $2 a pair. 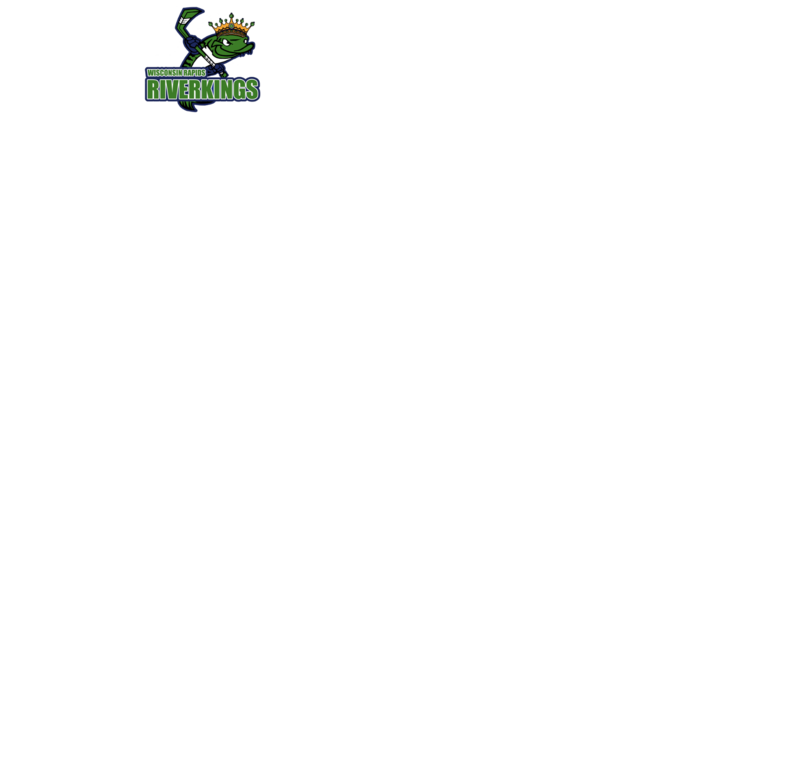 And for those Boys and Girls Club membership cardholders attending on Sunday, the Riverkings will take the ice after Sunday's game too. There's lots of good stuff happening this weekend with the Riverkings... We hope to see you there! 12/10/2014 - CROSS ICE MITES POST-PRACTICE HIGH JINX! This coming Wednesday, the Riverkings join the Cross Ice Mites and their families for a little bit of pizza and some Christmas fun! A little bit of glue… Perhaps some google eyes and buttons… Maybe even a few carrots and a little dab of coal… Who knows what the kids and the Riverkings will come up with? It's sure to make the parents walk away with a smile! For the third month in a row a Riverking takes honors as the Player of the Month for the Central Division. The Riverkings have remained at the top of the Central Division standings throughout most of the season and solid play from forward Tyler Harkins is a contributing factor. Harkins leads the league with 24 goals, seven of which were game winners, and he has logged 10 goals in November. Currently on a 14 game point streak, Harkins has earned a point in all but one of his 21 games played. Tyler has accounted for 25% of the Riverkings goals. 11/21/2014 - RIVERKINGS HOST THE TRI CITY ICEHAWKS! Hey everyone, a little birdie told me that the Tri City Icehawks are coming to town this weekend! The puck drops at 7:30 p.m. on Friday and Saturday, and the series finale face-off is on Sunday at Noon! Get on down to the South Wood County Recreation Center and make sure you don't miss out on any of this weekend's action! Also up for grabs are some cool 2014-2015 Magnetic Schedules provided by Quality Plus Printing at 3515 8th Street South in Wisconsin Rapids. Everyone in attendance gets one! And don't forget to lace up your skates for Skate with the Riverkings on Saturday night when the boys take the ice after the game, brought to you by TLC Travel. Admission is free, so be sure to join in on the fun!!! If you forget your skates, there will be rentals available for only $2 a pair. Help out your community and win some stuff! 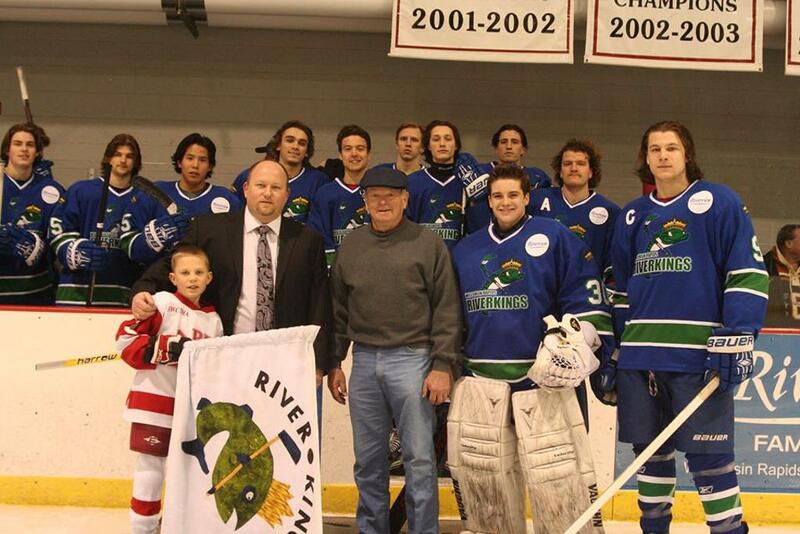 This weekend, The Riverkings! 11/07/2014 - COULD IT BE THE BEST RIVALRY IN THE MNJHL? 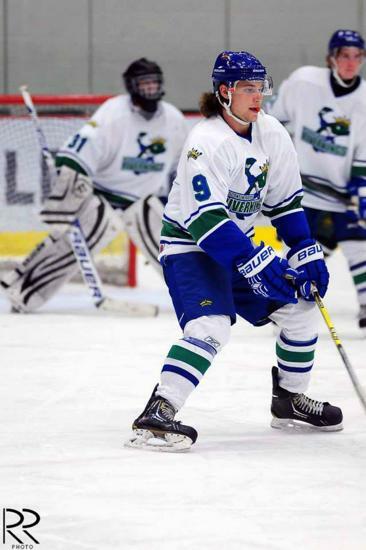 Don't miss out on the action this weekend as the Wisconsin Rapids Riverkings return to MnJHL competition when they host the Illiana Blackbirds. Make sure you head down to the SWCRC this weekend and witness what could be billed as the "Rivalry of the Year"! We've seen how fans act in Indiana… Let's show them what real Fans are like! Friday and Saturday at 7:30 p.m., with a Sunday finale at Noon. All at the SWCRC! We'll see you there! 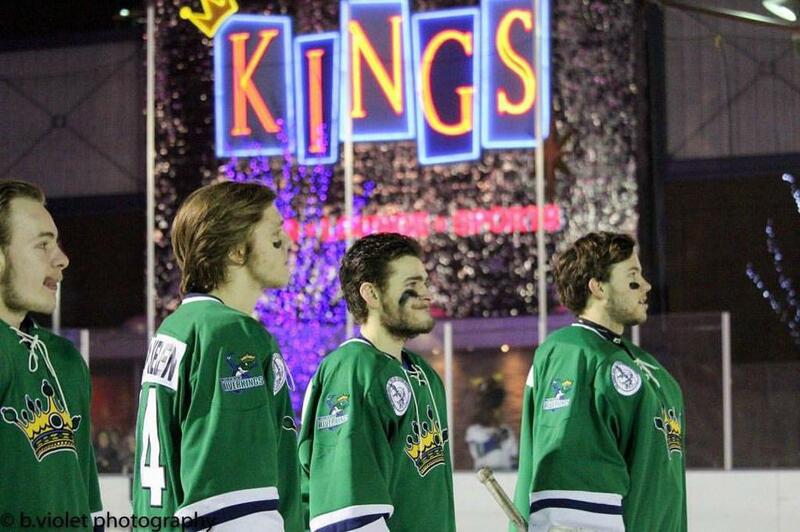 10/27/2014 - Riverkings Come Out On Top! It was a hard fought battle this past weekend in Wooster, Ohio, as the Riverkings took on the Oilers in a matchup that would ultimately determine the sole holder of the Central Division. In the end, the Riverkings took the weekend series 2 games to 1. On Friday, with his family in attendance, Tyler Harkins scored the Hat Trick as the Riverkings came out on top with a 5-3 win. Saturday night's game proved to be a gritty battle… Things didn't work out as planned, and the boys fell 2-1, but their come-from-behind 3-1 win on Sunday elevated them to 1st place in the Central and improved their record to 10-2 overall. Well, fans, if you didn't get a chance to make it down to the South Wood County Recreation Center for the Wisconsin Rapids Riverkings home opener this past weekend, all we can say is "Sorry you didn't..."
Final tally... 8-2 on Friday, 12-0 on Saturday, and 8-1 in the finale! Nitsche with 2 goals on Friday, Hatfield, Harkins, and Walsh each notched 2 on Saturday, then Landau and Legere finished up with 2 each on Sunday. All said and done, the Riverkings outscored the Frontenacs 28-3, and they sit perched on top of the MnJHL Central Division after the weekend. If you weren't able to attend and you missed out on the action, our multimedia galleries are what you're looking for... Our friends from RCCA Media in Wisconsin Rapids were on hand for our inaugural game, and you can get a replay of all of Friday night's action here. Or, find some time and take a look at the weekend's game photos, all taken by the Riverkings Photographer, Tammy Scharmer. The Riverkings are proud to announce our partnership with the United Way of Inner Wisconsin's Reading Mentor Program in an effort to ensure that all children are able to read at the proficient level by the end of third grade. Through this partnership, our players will spend time throughout the week reading to children at Mead Elementary. 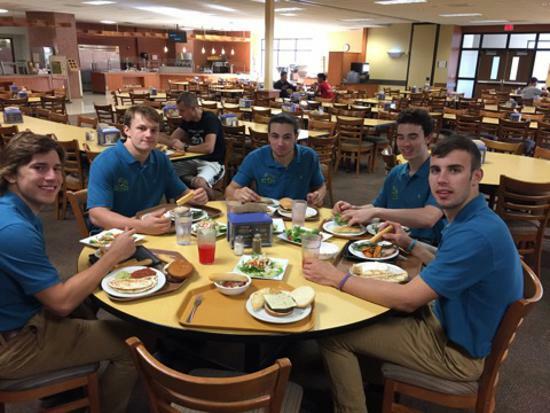 In addition, the players will spend time with the children during lunch time recess and help out with other opportunities like morning meetings, school assemblies, and family fun nights. 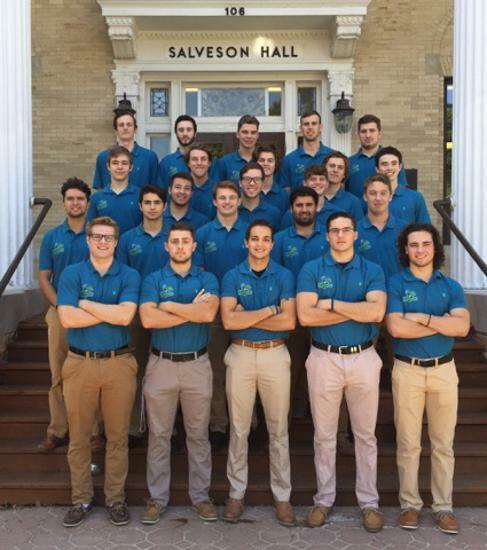 You may have heard the saying, "it takes a village to raise a child." 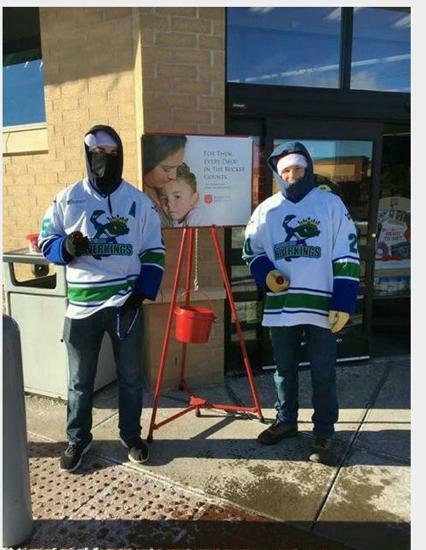 It is true now more than ever, and the Riverkings are stepping up to support the Wisconsin Rapids community! 09/22/2014 - SPLISHIN' AND A SPLASHIN'! A big Thank You goes out to Kim Kinsey @ SUP The Rapids. The boys had a great day out on the Wisconsin River, doing their best to keep dry. 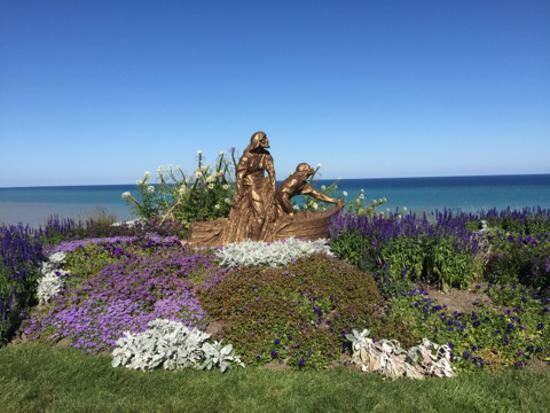 What better way to enjoy an end-of-summer day than to soak up some sunshine and try to keep your boat afloat? SUP the Rapids provides tours, rentals, and lessons for all your Stand Up Paddleboarding needs! Wander peacefully, explore Wisconsin from a different perspective, and get a great workout! At the end of the day, the boys were all smiles. Check out a few of our action photos below! 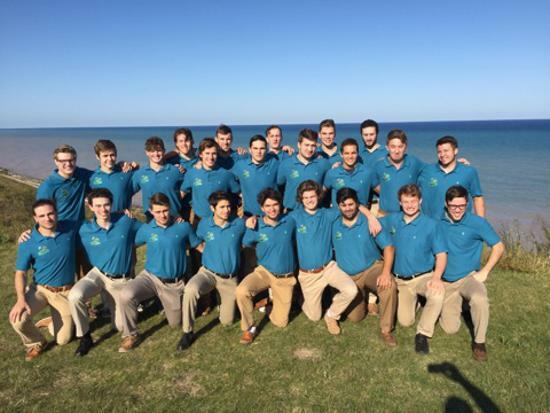 This past weekend, the Riverkings travelled up to Northern Michigan University (NMU) in Marquette, Michigan, to tour the University and face off against the Wildcats club hockey team for a few exhibition games at the Berry Event Center. 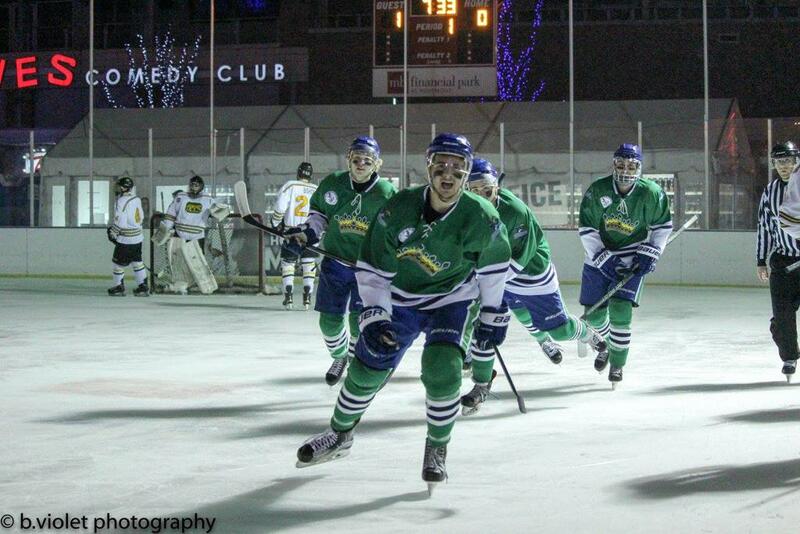 The Riverkings came out on top with a win Friday night 5-2 in a hard fought battle. Jake Nitsche had two goals and one assist, line mate Blake Zabinski had one goal and three assists, and Dave Landau and Blake Anderson scored as well. Cody Stein was outstanding in net, stopping over 50 shots. 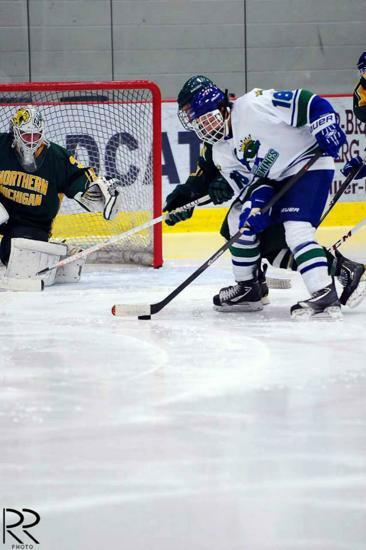 He helped hold off an early NMU attack while the the boys found a way to tilt the ice in the Riverkings favor. Saturday night's game is scheduled for 8 p.m.. If you weren't down at The Grand Affair in downtown Wisconsin Rapids on September 7th, you probably missed the live music, the food, the farmers market, the car cruise-in, and all the other cool events. 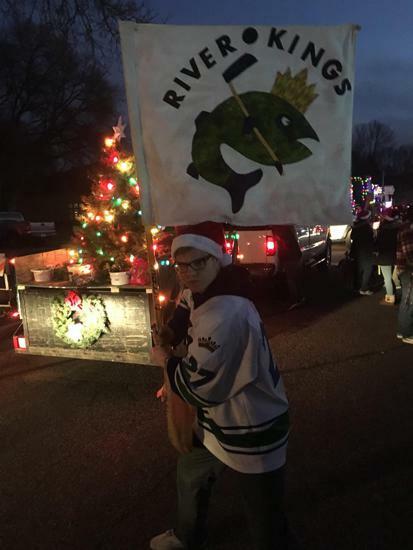 You also missed the Wisconsin Rapids Riverkings! 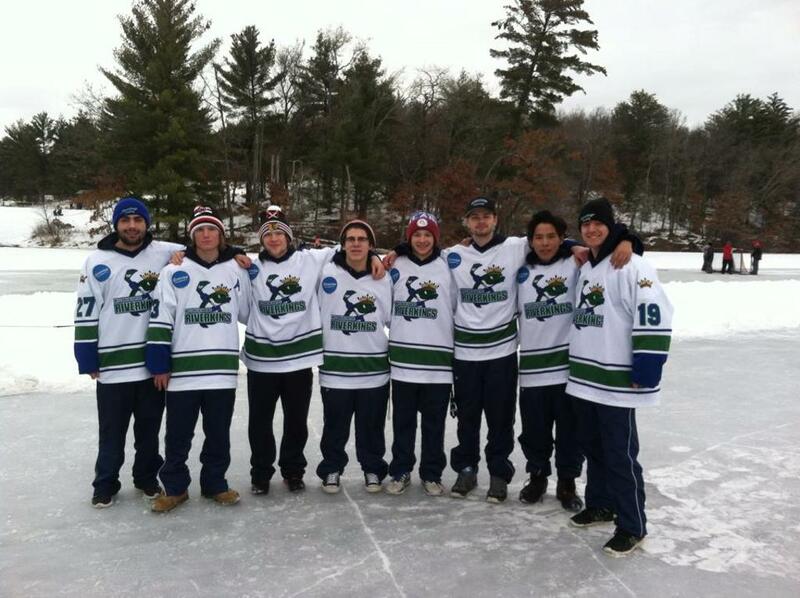 Check out a few photos of your Riverkings Building Hockey Up and Down the River! 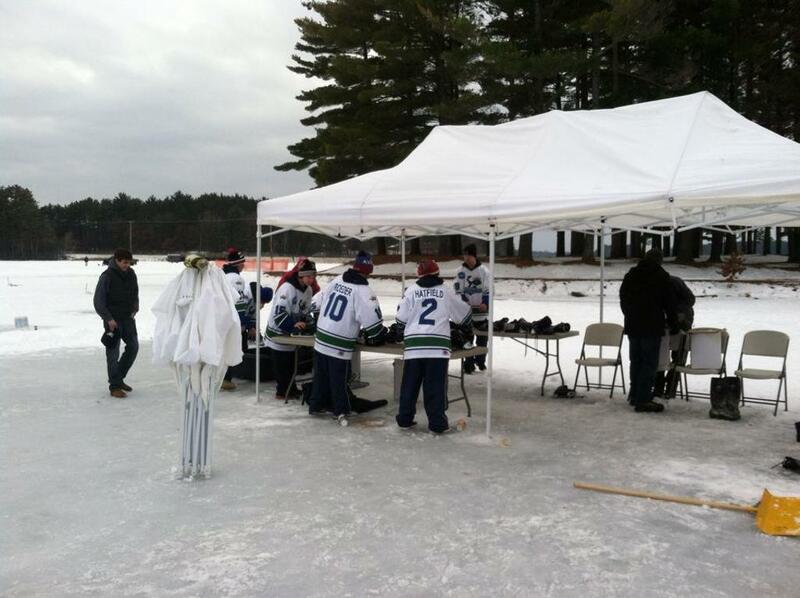 The weather kept the Riverkings away from the showcase in Boston Massachusettes. Therefore, they will be making up the 4 games that they missed. On Sunday, January 28 at 7:00pm, the Riverkings will be playing against the Dells Ducks at the South Wood County Rec Center in Wisconsin Rapids. They will take on the Ducks again at the SWCRC on Tuesday, January 30 at 1:00pm. After another set of home games on February 2 and 3, the Riverkings will travel to Forest Lake Minnesota. They will take on the Mullets on February 5th at 2:00pm and on the 6th at noon. Watch them on Hockey TV! Having to make up these 4 games comes at the busy time of the schedule as the Riverkings look to make a late season push heading into playoffs. The Riverkings will play a grinding schedule of 8 games in eleven days. However, the Riverkings staff has added several new player in the recent weeks as they are trying to gain home ice in the playoffs. The added depth comes at the perfect time and the addition of Czech import forward Matyas Kacirek (who came from the NAHL) the Riverkings have gone 10-1-1 since his arrival after Thanksgiving break. The Riverkings have also added the two veteran 20 year olds with Power-forward Al McPhee from the Chicago Cougars and an original Riverking Brooks Hatfield who is a skilled center. These additions have added more skill, experience and depth to an already balanced roster. 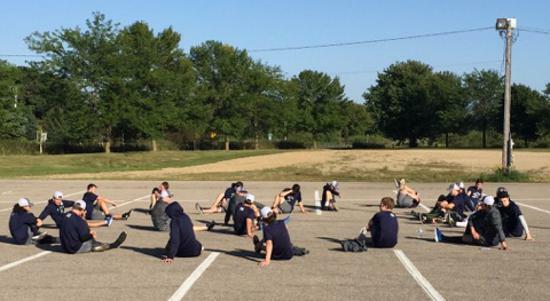 With just 14 games to play before playoffs the Riverkings feel this is the time of the season when all the hard work with on and off ice training starts to pay off. Coach Quarters said: “This is time of the season when every game means something and because of that we need to be dialed in, and our staff feels good about this teams focus, leadership, and intensity. 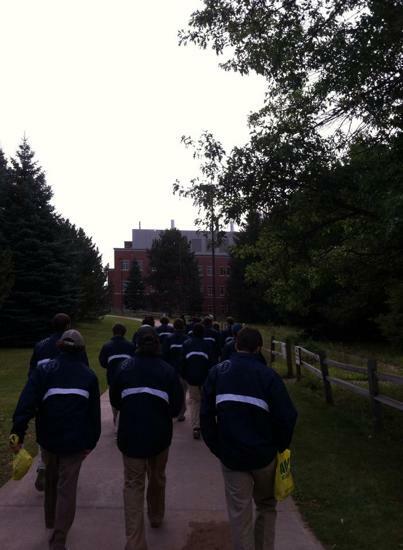 We have a veteran team that is excited to work hard and get after it”. Winner of the series goes to Boston for Nationals! Home game against the Chicago Cougars! Riverkings are ready for the playoffs! 08/30/2014 - DON'T MISS OUT ON SOME GREAT PRESEASON ACTION!!! Are you heading down to the Wisconsin Dells this weekend for one last summer hurrah before school starts? 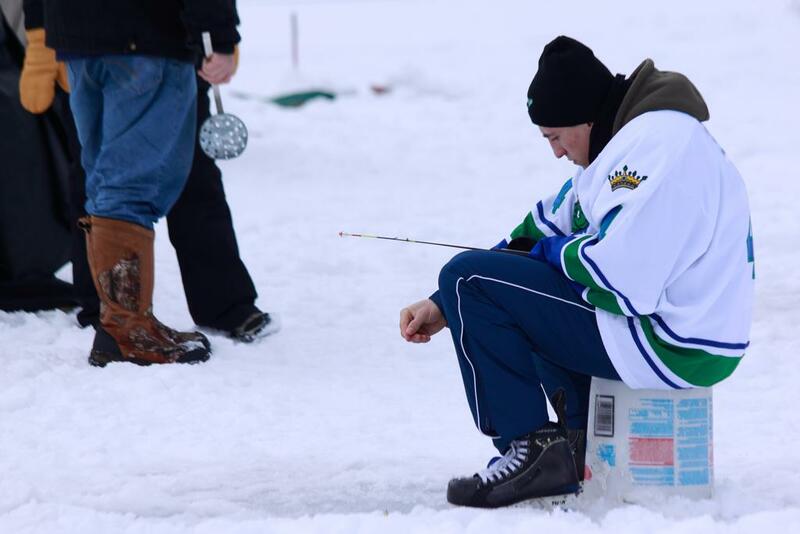 Why not add a little ice time to your agenda? Followed by a match-up against Lewis University at 4:00 p.m.
What better way to put an exclamation point on your last holiday vacation! The Riverkings are Boston Bound!! 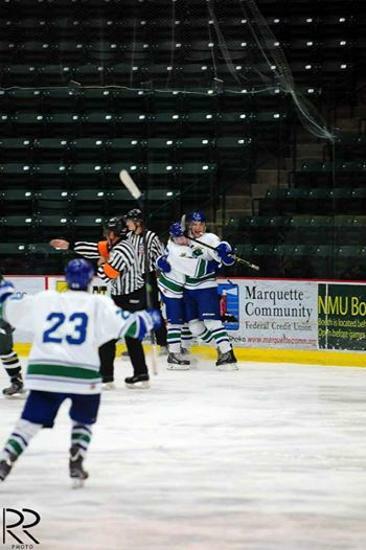 The Wisconsin Rapids Riverkings hockey club punched their ticket to the USPHL National Tournament in Boston by defeating the Minnesota Blue Ox Friday night by a score of 4-0. Thursday night saw the Riverkings win a 2-1 contest, and Friday in front of 617 fans at the South Wood County Recreation Center, the Riverkings completed the sweep. Al Mcphee opened the scoring for the Riverkings in the 1st period scoring 9:16 into the game with Dylan Nurse and Tom Mcmanus grabbing the assists. Just a few minutes laters goaltender Erik Schuette turned away a breakaway attempt from the Blue Ox and the Riverkings transitioned the other way. Matyas Kacirek buried the shot to put the Riverkings up 2-0 with Schuette picking up the assist. With a little under two minutes left in the 1st period it was Brooks Hatfield making it 3-0 as Kacirek and Ryan Mantz picked up the assists. The 2nd period was a scoreless one as Schuette turned away 12 Blue Ox attempts. In the 3rd period Adam Peterson iced the game with an empty net goal with Raymond Fleming picking up the lone assist. Schuette turned aside 36 shots picking up his second shut-out of the playoffs. The Riverkings penalty-kill was perfect on the night killing all four Blue Ox attempts. 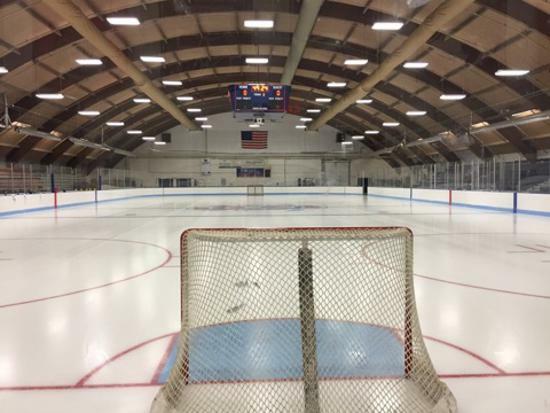 By defeating the Ironwood Fighting Yoopers in the 1st round, and the Minnesota Blue Ox in the 2nd round the Riverkings advance to Boston and the USPHL National Tournament for the second consecutive season. The tournament runs March 7-10th and all Riverking games can be seen on www.fasthockey.com as they continue their quest to becoming USPHL National Champions. The Riverkings games will also be broadcast at Hoozels, on HWY 54, the old Bull Dogs. You can get all your Riverkings playoff schedule and updates at www.usphl.com under premier division playoff Info. 2017-18 Tryouts will be held at the Leafs Centre in West Dundee, IL. Please Register in the tryout section to the right. 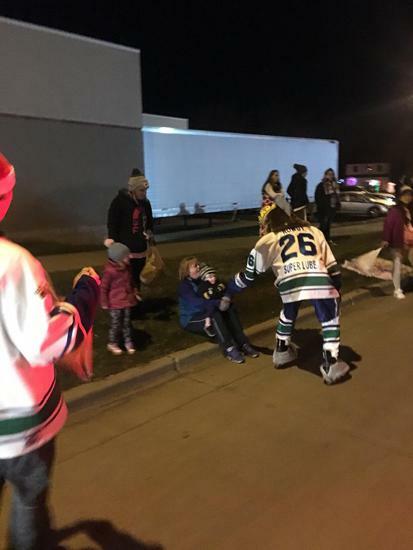 ©2019 Wisconsin Rapids Riverkings Hockey / SportsEngine. All Rights Reserved.